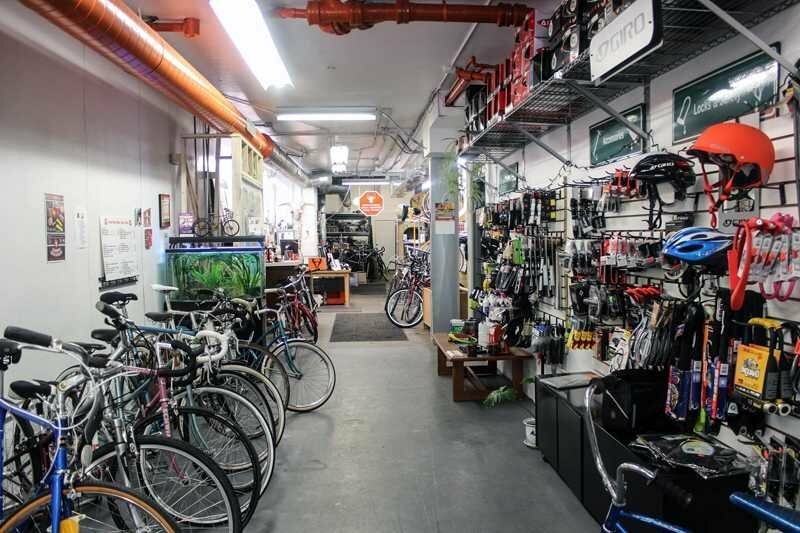 Bucephalus Bikes has become the first business in Evanston to accept Bitcoin as a payment method. Bitcoin is a payment system created in 2009 that allows digital monetary transactions without banks, middlemen or significant transaction fees. Last month, Bucephalus Bikes became the first Evanston business to accept Bitcoin as a method of payment. Bitcoin is a form of currency generated by “mining” or solving complex math to create unique blocks of a transaction record. This cryptic data is then exchanged across a network of users. It was invented in 2009 and has garnered increasing attention worldwide, especially in the last year. Alex Anon, the owner of the bike shop, said the main reason he decided to accept bitcoins was the fact that there were no fees associated with processing its transactions. “I pay hundreds of dollars a month in credit card processing, and that translates into thousands of dollars at the end of the year,” Anon said. All businesses are concerned with small fees adding up, particularly small businesses like Bucephalus Bikes, he said. To make a transaction, Anon would use his smartphone to generate a Quick Response, or QR, code to request a certain amount of U.S. dollars. The app he utilizes automatically checks the bitcoin-dollar exchange rate and does the calculation. The customer can then scan the code with his or her smartphone, receive the request and push the amount to Anon’s digital wallet. The company that manages his wallet would then move the money directly to his bank account — free of charges or fees. “I don’t think everybody will drop their credit card and use Bitcoin, but because it didn’t cost me anything to set up, I figured I’d give it a go,” Anon said. Economics Prof. Scott Ogawa is currently wary of the use of Bitcoin and other crypto-currencies because he personally does not use it and does not know of anyone who has. Weinberg sophomore Blake Disiere has been using Bitcoin since 2012 because it intrigues him as both an economics major and a tech junkie. He found it to be an interesting experiment because with its production scheduled to stop once 21 million bitcoins have been mined, Bitcoin cannot undergo inflation. “It’s more of an investment strategy: buy when it’s low, sell when it’s high. And that’s pretty much what I use it for now,” Disiere said. Disiere has not yet used Bitcoin to make a purchase but said he could see himself doing so. He likes that the process is semi-anonymous; names and addresses cannot be traced back to buyers. There is also security in the fact that Bitcoin transactions are one-way, he said. When giving his credit card information, there is the chance that the seller will take more money than agreed upon. Some economists have argued Bitcoin is too volatile to use as everyday currency, but Anon will avoid losing money to vacillating exchange rates because his bank account transfers will occur daily. Time will tell if customers warm up to the idea, but for those already using the currency, this could be a convenient alternative.